The gray wolf is one of North America's most iconic native predators. The wolf's incredible comeback in the Northern Rockies is one of our country's greatest wildlife success stories. January catch of Forest Service hunter T.B. Bledsaw, Kaibab National Forest, circa 1914. 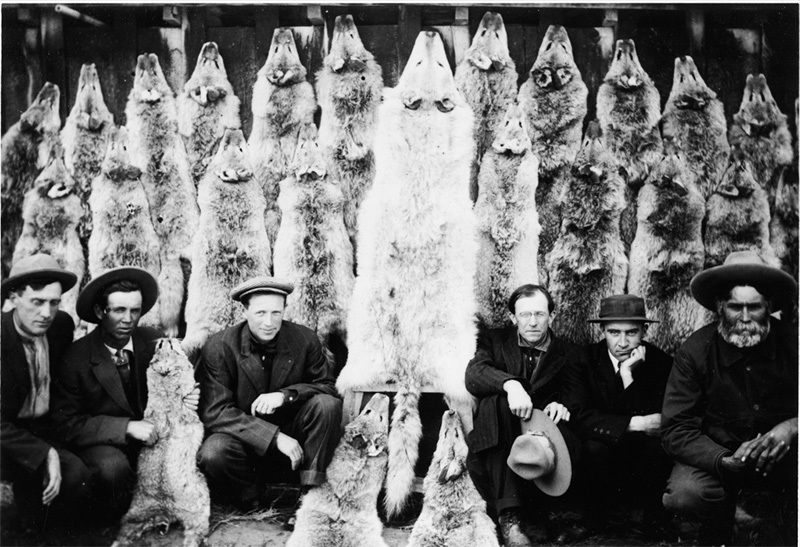 Bounty hunters finish killing most wolves in the continental United States. Tiny remnant populations cling to existence in several spots along the Canadian border in Michigan, Montana, and Idaho. Reports of ghost wolf sightings trickle in from parts of Wyoming, Washington, and Idaho. 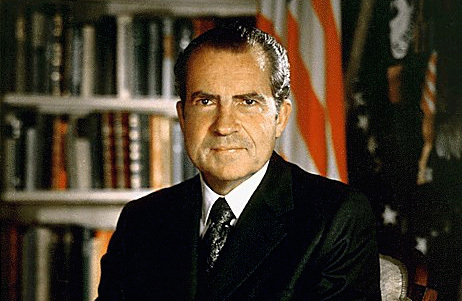 The Endangered Species Act (ESA) is signed into law by President Nixon. It prohibits the "taking," without explicit permission, of species deemed to be in danger of going extinct. "Taking," in this instance, means killing, harassing, or damaging habitat necessary for the survival and recovery of the species. 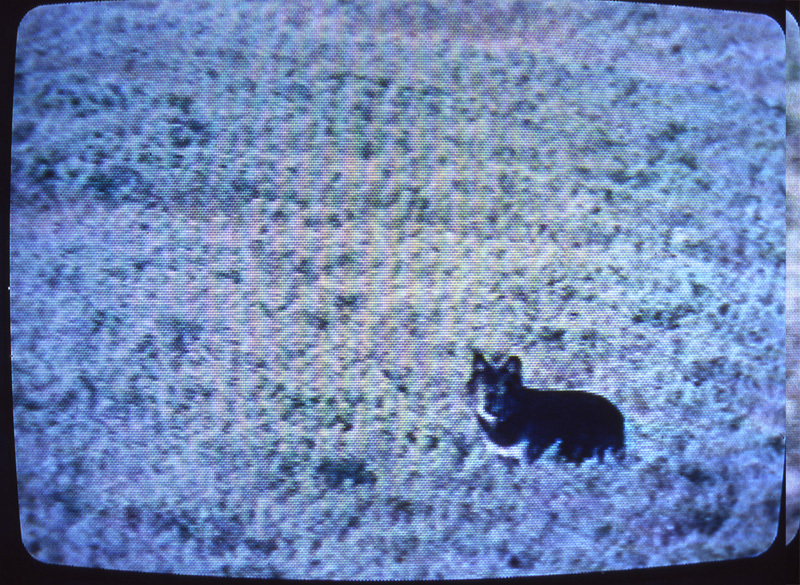 A "wolf-like" animal sighted in Hayden Valley, August 7/8, 1992. As part of the first list of species to receive federal protections, gray wolves are listed as "endangered" under the ESA. The designation applies to all remaining wolf populations in the lower-48 states. The ESA is amended to include the 10(j) rule, allowing the Interior Department to classify reintroduced species as experimental and nonessential. The change is a result of local concerns about reintroduction of species to their historical ranges. 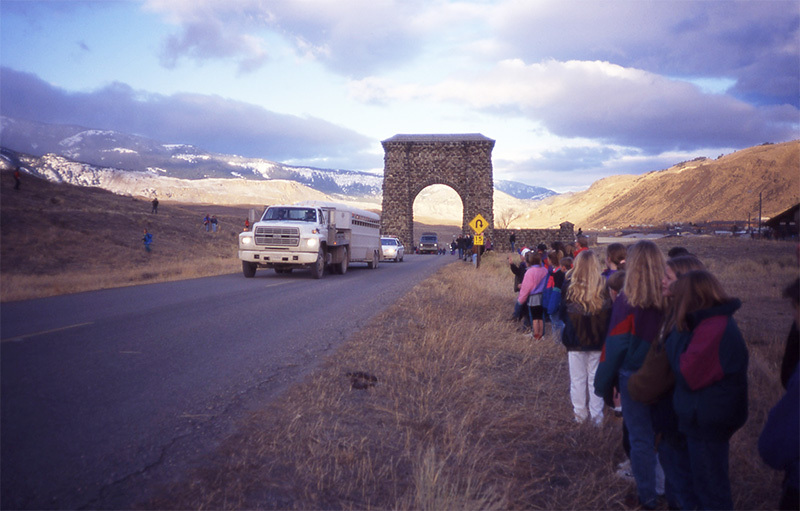 Schoolchildren at Yellowstone's Roosevelt Arch welcome a truck transporting wolves, January 1995. The U.S. Fish & Wildlife Service (FWS) begins reintroducing gray wolves to central Idaho and Yellowstone. Wolves are brought in from Canada. 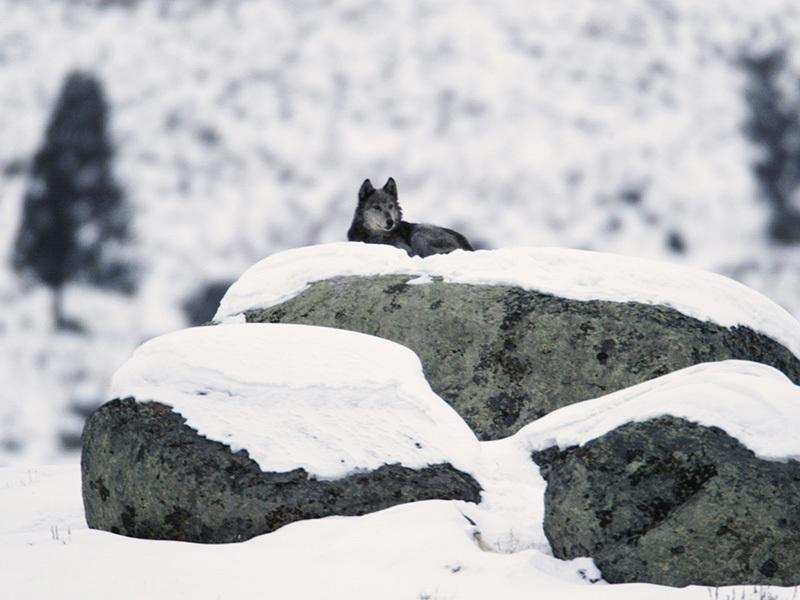 FWS proposes dropping "endangered" status for most wolves in the United States and reclassifying them as "threatened," a designation under the ESA that carries milder protections than "endangered" status. 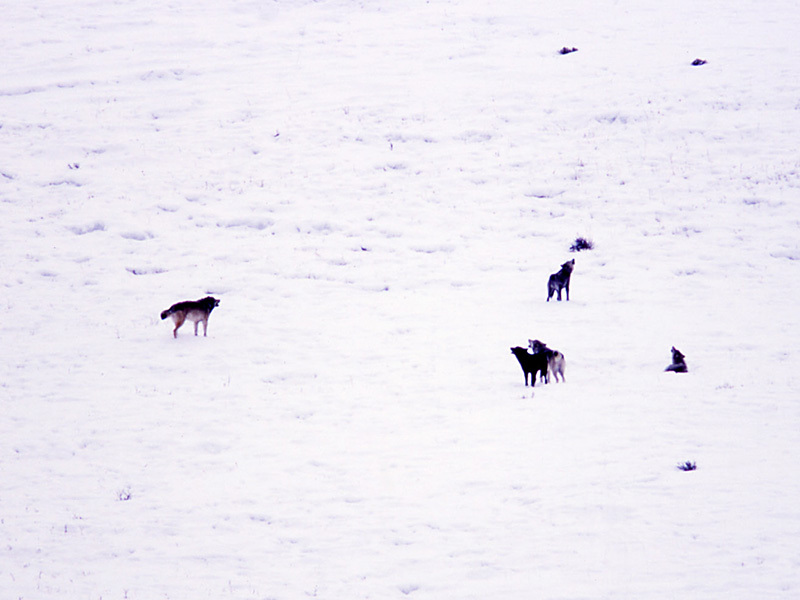 Wolves howling at Little America Flats in Yellowstone, February 2003. 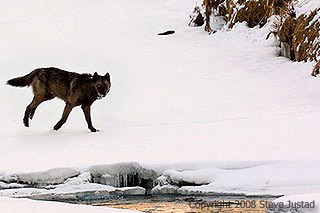 FWS reclassifies most gray wolves in the lower-48 as "threatened." Work also begins to delist most gray wolves entirely. As a requirement for delisting, states with wolf populations must have laws and management plans to ensure continued survival of the species. Wolf on glacial erratic at Yellowstone's Little America Flats, February 2, 2004. 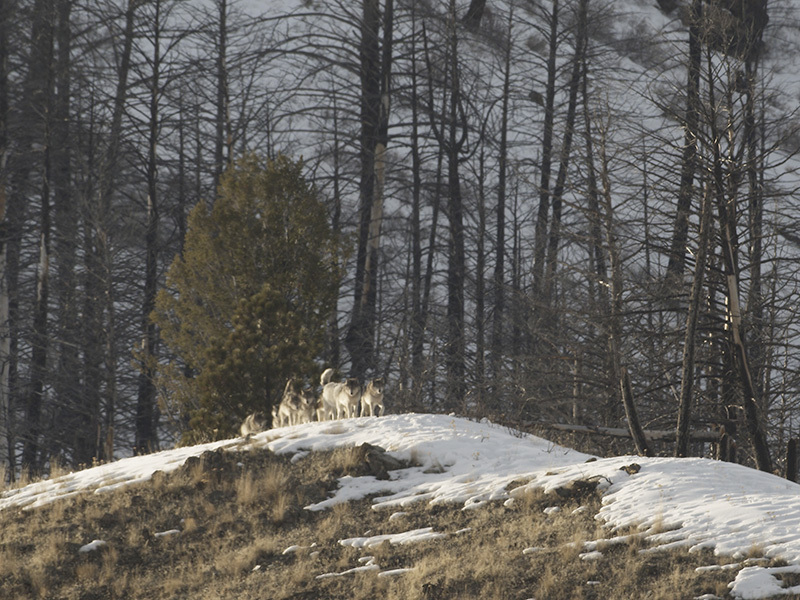 FWS accepts Montana's and Idaho's proposed management plans for wolves but rejects Wyoming's. The State of Wyoming, livestock and hunting interests supported plans to manage wolves as "predators," which would permit indiscriminate killing in nearly 90% of Wyoming. The State of Wyoming and 28 Wyoming-based livestock and hunting groups file suit, challenging FWS's rejection of the Wyoming management plan. Earthjustice and other conservation groups intervene in the lawsuit to defend FWS's decision to reject Wyoming's management plan for wolves. An Oregon district court judge rejects the U.S. Fish & Wildlife Service's decision to reclassify most wolves in the lower-48 to "threatened" from "endangered." 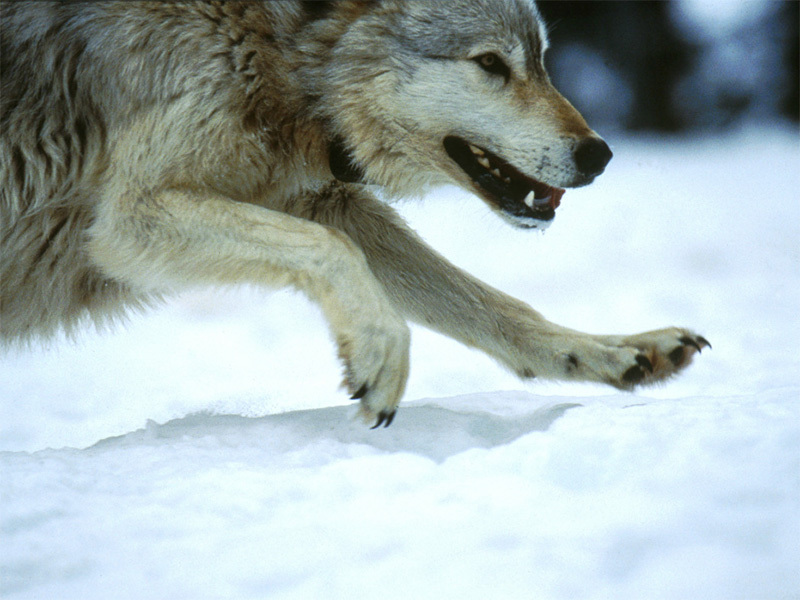 The Bush administration gives livestock owners in Montana and Idaho more power to kill wolves. Under the new "10(j) rule," livestock owners can kill wolves without a permit if wolves are chasing livestock. The rule also says states can take action against wolves if it can be demonstrated they are the primary reason for decline among deer or elk populations. 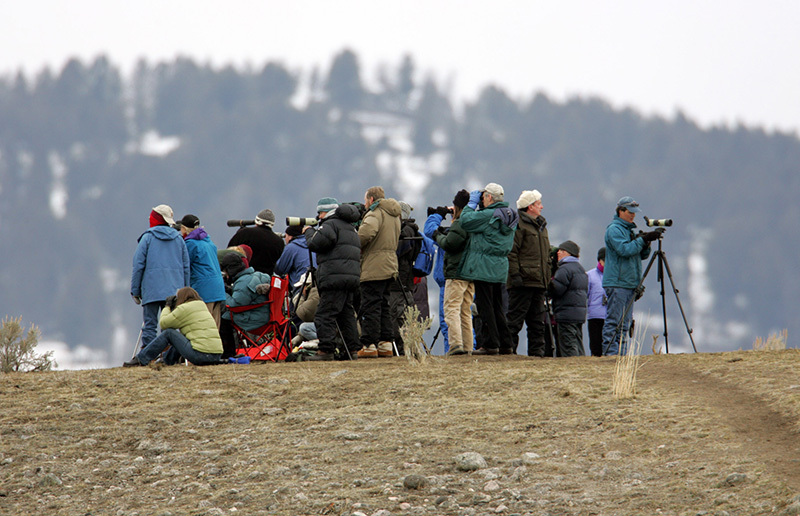 Wolf watchers at Yellowstone's Slough Creek, March 2005. Federal District Court Judge Alan B. Johnson tosses out the lawsuit filed by the State of Wyoming and livestock and hunting interests challenging FWS's rejection of Wyoming’s management plan. The case is ultimately appealed to the 10th Circuit. Wolf near Blacktail Pond in Yellowstone, February 16, 2006. FWS announces plans to remove gray wolves in the Northern Rockies (Idaho, Wyoming, Montana) from the Endangered Species List, but only if Wyoming adopts a state management plan that FWS deems appropriate. Wyoming's original plan, rejected by FWS, remains under review by the 10th Circuit Court of Appeals. Wolf 470F of the Leopold Pack, near Blacktail Pond in Yellowstone. 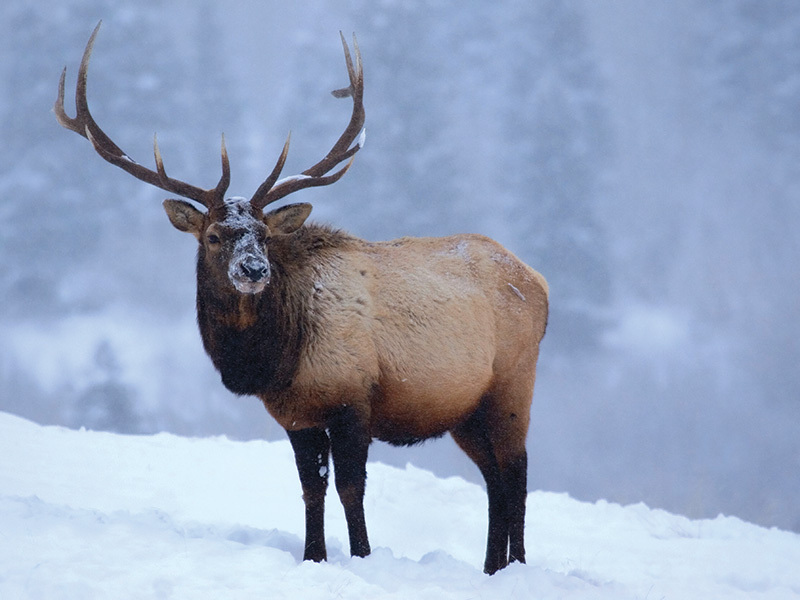 The 10th Circuit Court of Appeals rules the lawsuit filed by the State of Wyoming and livestock and hunting interests to compel approval of the state management plan is without merit. The ruling affirms a decision made one year prior by District Court Judge Alan B. Johnson, as well as FWS's initial decision to reject the plan. After 12 months of study, FWS rejects a petition filed by the Governor of Wyoming and the State Game & Fish Commission asking that gray wolves in the Northern Rockies be removed from the Endangered Species List. The rejection is based on the lack of an adequate state management plan in Wyoming. Wolves from the Druid Pack bed down in the snow. FWS issues a proposed rule to delist Northern Rockies gray wolves from the endangered species list. Wyoming has yet to propose a management plan since their initial one was rejected by the 10th Circuit Court of Appeals. Without a Wyoming plan, FWS intends to keep a significant portion of wolves in Wyoming on the endangered species list. In an about-face, FWS approves Wyoming's state management plan. The plan allows anyone to kill any wolf that wanders outside the northwest part of the state, including wolves that live most of the year in Yellowstone National Park and leave the park for periods in the winter in search of food. Earthjustice files comments challenging the approval of Wyoming's new plan to allow unlimited wolf killing in nearly 90% of the state. 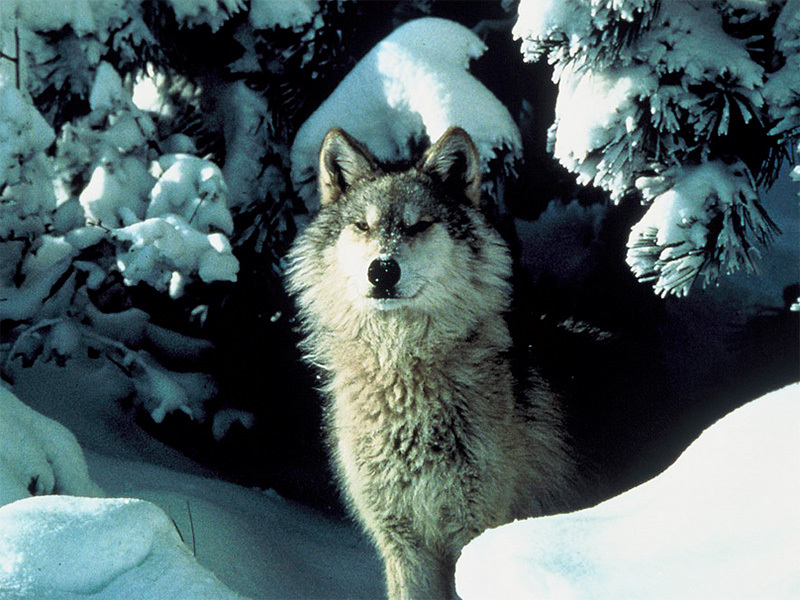 Earthjustice challenges the Bush administration 10(j) rule that would allow wolves in Idaho, Wyoming, and Montana to be indiscriminately killed, including through aerial hunting. To start killing, states only need to demonstrate that wolves are one of the reasons for elk and deer populations that fail to meet state objectives. The final rule for delisting of the Northern Rockies population of gray wolves from the Endangered Species List is published. Delisting is scheduled to take place in late March 2008. The Northern Rockies gray wolves are officially removed from the endangered species list. Wyoming's contentious state management plan takes effect. Wolf 253. His distinctive gait, walking on three legs, made him one of the more easily recognized wolves in Yellowstone. Wolf 253 (aka, "Hoppy" or "Limpy") is one of the first wolves killed after ESA protections are removed. A member of Yellowstone's famed Druid Pack, this particular wolf was unique. "He was a hell of a wolf," recalled one veteran wolf watcher. Earthjustice filed suit on behalf of 12 conservation groups, challenging the decision to delist Northern Rockies gray wolves from Endangered Species Act protections. In response to the Earthjustice lawsuit, a federal court reinstated ESA protections for gray wolves in the Northern Rockies, just in time to keep wolves safe from fall hunts that would have been implemented in Idaho, Montana, and Wyoming. Since delisting, more than 100 wolves were killed. Fall hunts would have killed hundreds more. Days before leaving office, the Bush administration makes a final attempt to remove endangered species protections for wolves in the Northern Rockies (excluding Wyoming). Earthjustice and other groups announce they will challenge delisting … again. 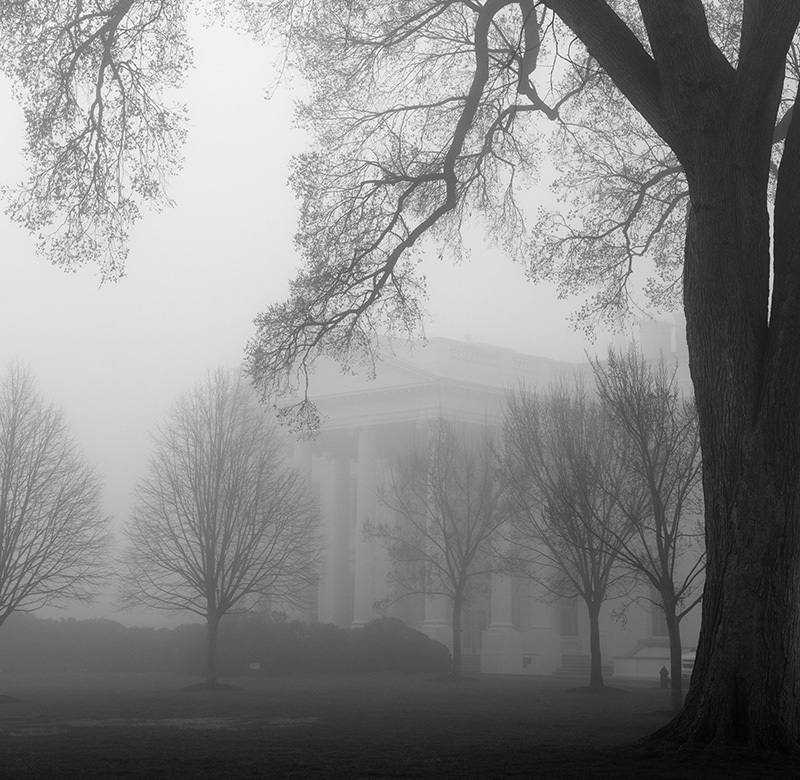 An order by the Obama administration halts the proposed delisting for the time being. 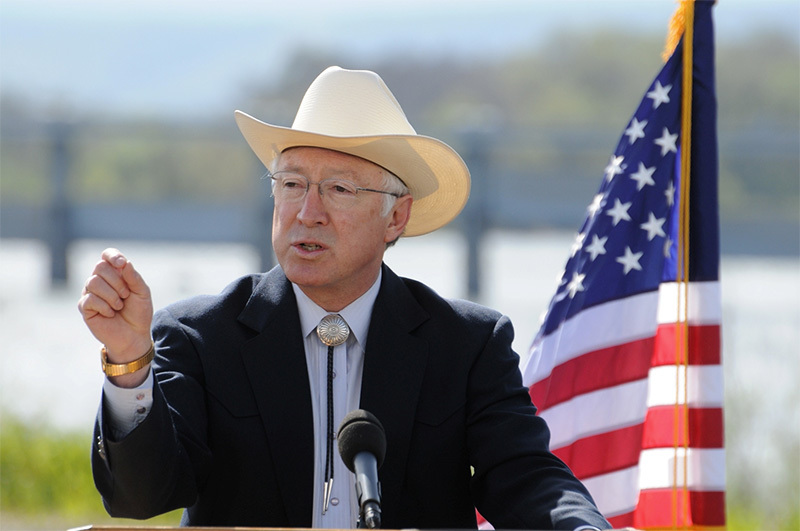 Secretary of the Interior Ken Salazar. After nearly two months of waiting, Interior Secretary Ken Salazar affirms the FWS decision to remove endangered species protections for wolves in Idaho and Montana (as well as parts of Washington, Oregon, Utah and western Great Lakes). Earthjustice and others announce they will challenge the decision. 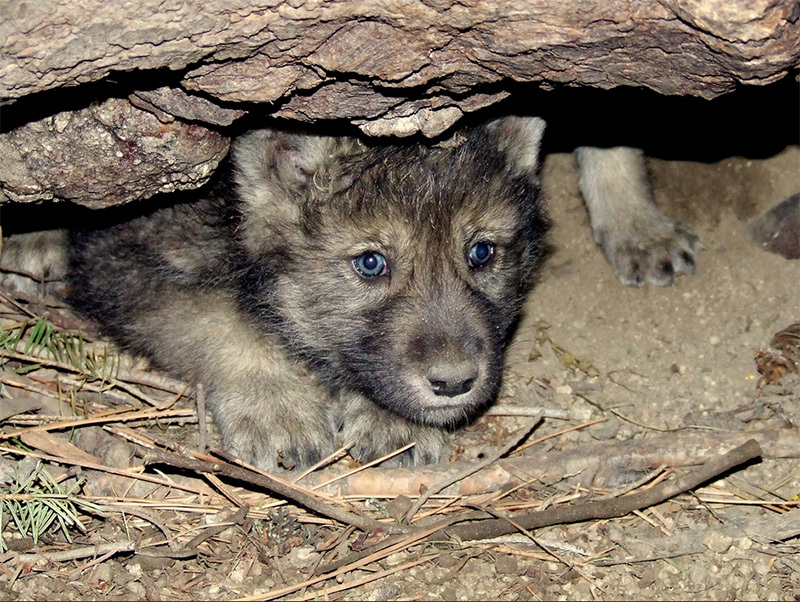 Wolf pups emerge from a den, December 2009. Wolves in the Northern Rockies are again removed from the endangered species list. The delisting rule goes into effect on May 4, 2009. With the exception of Wyoming, where wolves remain federally protected, states will take over management of their wolf populations. Earthjustice files suit challenging the decision to remove Endangered Species Act protections for gray wolves in the Northern Rockies. Earthjustice asks the federal district court reviewing the delisting challenge for an emergency injunction to halt pending fall wolf hunts in Idaho and Montana. Earthjustice sought—and won—a similar injunction the last time wolf hunts began. A federal district court issues an order finding that the delisting of wolves in the Northern Rockies was likely illegal, but declined to stop wolf hunts in Idaho and Montana. The order comes a week after Idaho's wolf hunting season opened on September 1. Montana is set to begin wolf hunting on September 15. 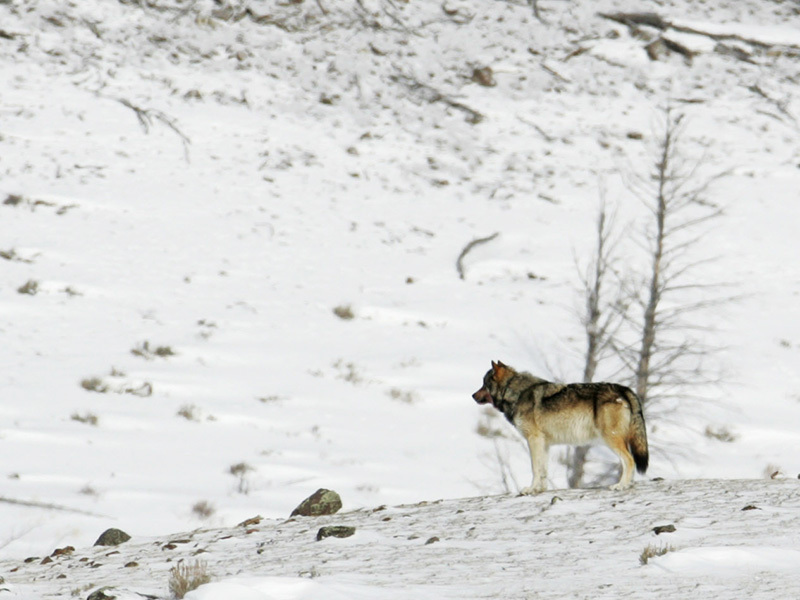 Idaho's wolf hunt season ends, with the loss of more than 500 wolves due to human killing. The hunt, along with Montana's similar season, followed the April 2009 delisting of populations in those states under the federal ESA. Federal District Judge Donald Molloy restores ESA protections for wolves in Idaho and Montana, stating that the decision by FWS to remove protections in only two states is "a political solution that does not comply with the ESA." In his ruling, the judge affirmed that protections for the same population cannot differ by state. 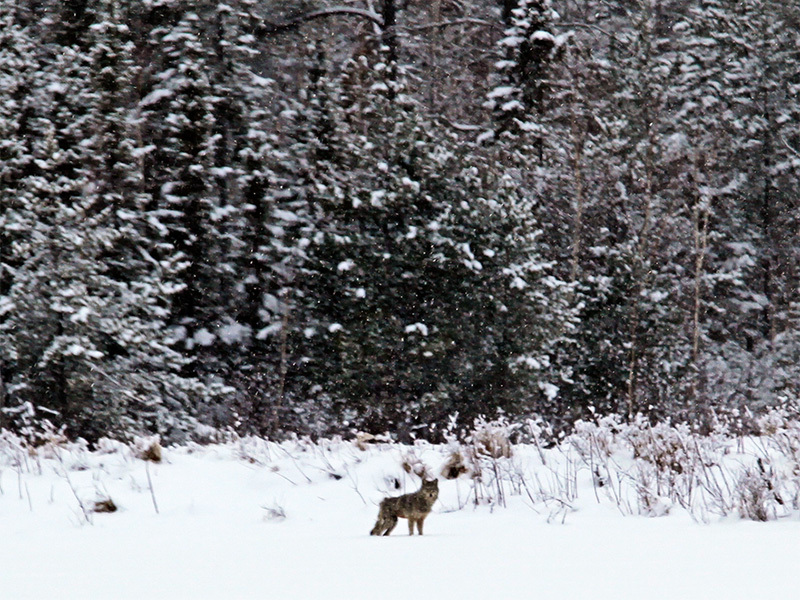 Wolf faces a snowstorm in Seney National Wildlife Refuge, January 2011. 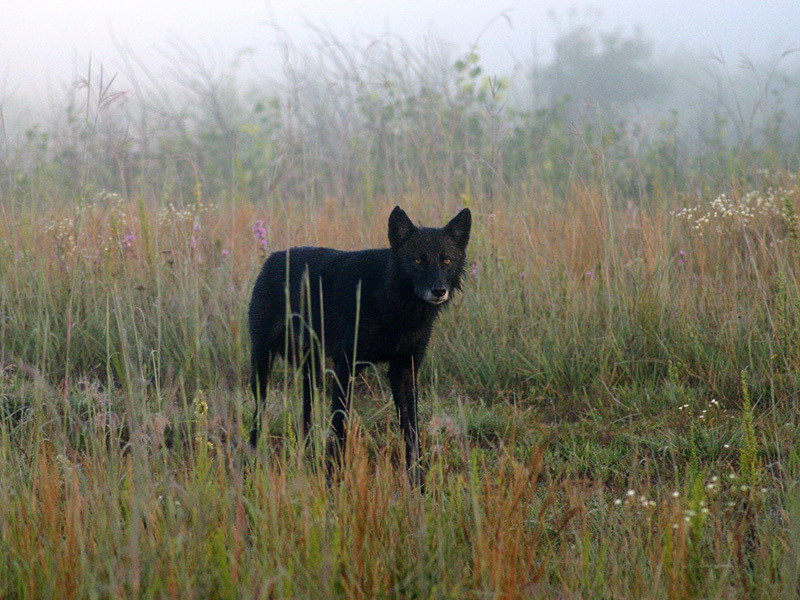 Of the 14 conservation groups that joined in the June 2009 lawsuit to protect wolves, not all agree to a settlement with the U.S. Fish & Wildlife Service. This requires Earthjustice to withdraw as the clients' counsel. President Obama signs into law the "Department of Defense and Full-Year Continuing Appropriations Act" for fiscal year 2011. The bill requires the Interior Secretary to reissue the "2009 Rule" which removed ESA protections for all Northern Rocky Mountain wolves, except those in Wyoming. 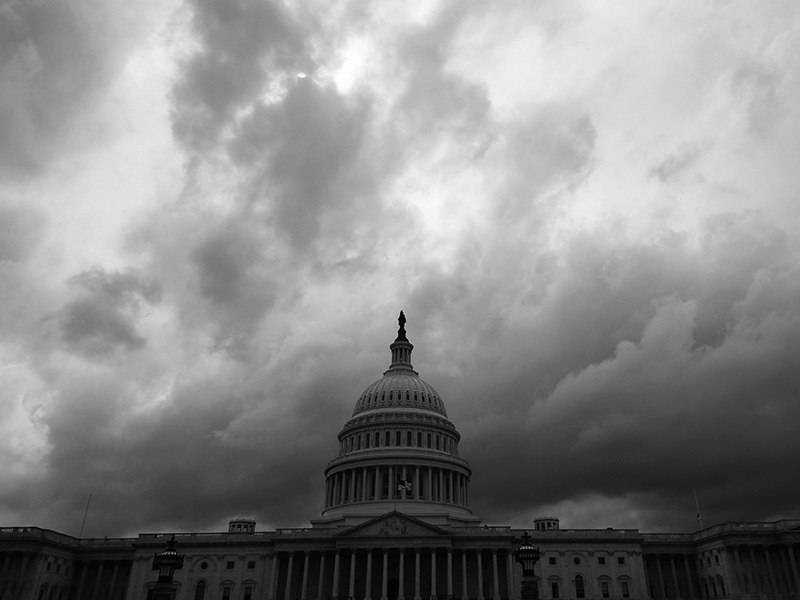 Storm clouds pass over the U.S. Capitol building. Federal District Court Judge Donald Molloy upholds the 2011 legislation removing ESA protections for wolves in the Northern Rockies. The legislation marks the first time Congress has legislatively delisted an endangered species. The 2011–2012 Montana wolf hunting and Idaho wolf hunting and trapping seasons begin, during which 166 wolves are killed in Montana, and 379 wolves are killed in Idaho. FWS proposed a rule to remove the gray wolf in Wyoming from the endangered species list, claiming Wyoming's wolf population is stable, threats will be addressed, and Wyoming's wolf management laws are adequate. 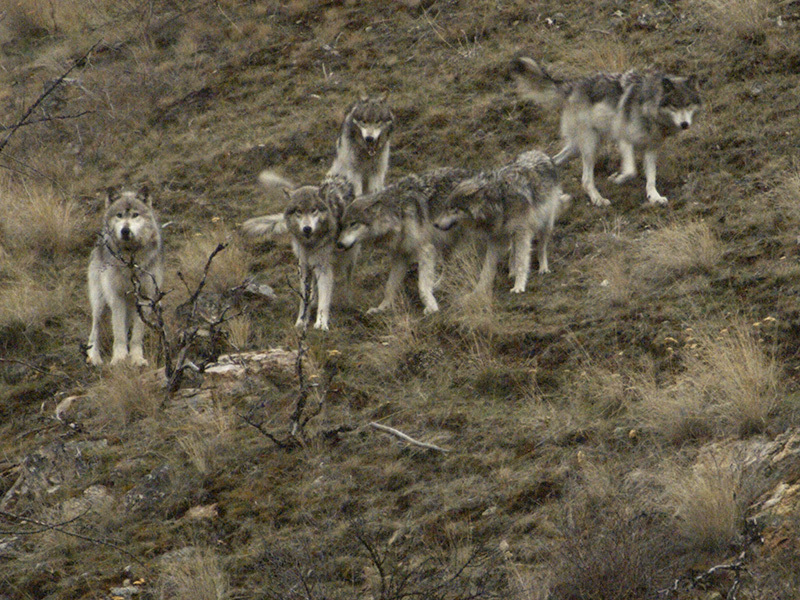 This is notwithstanding FWS's own peer review of the Wyoming delisting proposal, which concluded that "there is substantial risk to the population" because "the Plan, as written, does not do an adequate job of explaining how wolf populations will be maintained, and how recovery will be maintained." Wolf in Necedah National Wildlife Refuge, January 12, 2012. The 9th Circuit Court of Appeals ruled that Congress had the right to strip protections from wolves in Montana and Idaho in April 2011. FWS announced it is eliminating federal protections for Wyoming's wolves, handing wolf management over to Wyoming, which will open almost all of the state to immediate, unconditional wolf killing. Wyoming's wolf population is estimated to be only 328 wolves, far fewer than either Idaho or Montana. Following the required 60-day notice of intent to sue, Earthjustice filed suit on behalf of conservation groups, challenging the federal government's elimination of ESA protections for wolves in Wyoming. The state policies will result in wolf deaths that undermine the recovery of the species. 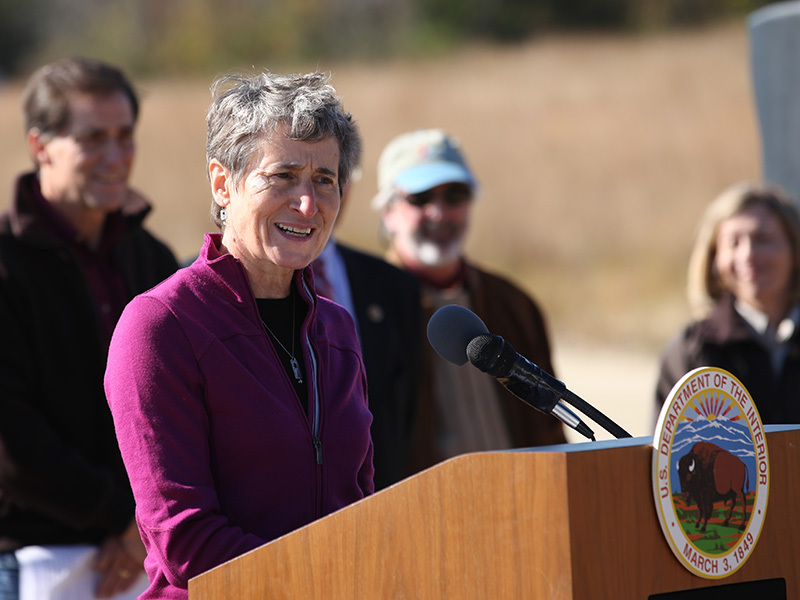 Secretary of the Interior Sally Jewell. Six of the nation's most prominent conservation groups called on Interior Secretary Sally Jewell to cancel plans by FWS to remove federal ESA protections for wolves across nearly the entire lower-48 states. The letter is signed by the chief executives of the Center for Biological Diversity, Defenders of Wildlife, Earthjustice, Endangered Species Coalition, Natural Resources Defense Council and Sierra Club. FWS proposed removing federal Endangered Species Act protections for wolves across nearly the entire lower-48 states, except for a small population of Mexican wolves in Arizona and New Mexico, where only about 75 wild wolves remain. 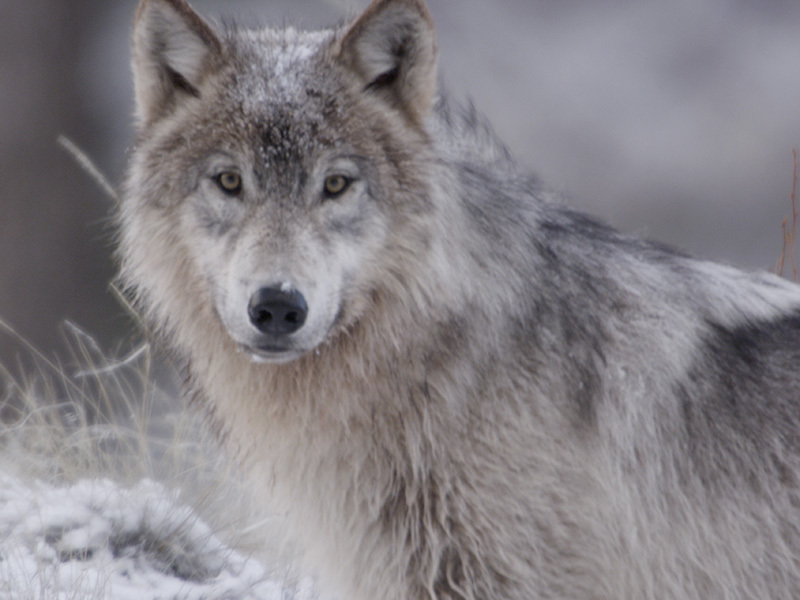 The plan would be disastrous for gray wolf recovery in the United States. In a public comment period, approximately one million Americans stood in opposition to the proposal to strip endangered species protections from gray wolves across most of the lower-48. It is one of the largest numbers of comments ever submitted on a federal decision involving endangered species. An independent scientific peer review unanimously concluded that the FWS's national wolf delisting rule did not currently represent the "best available science." The study was commissioned by FWS and conducted by the National Center for Ecological Analysis and Synthesis. 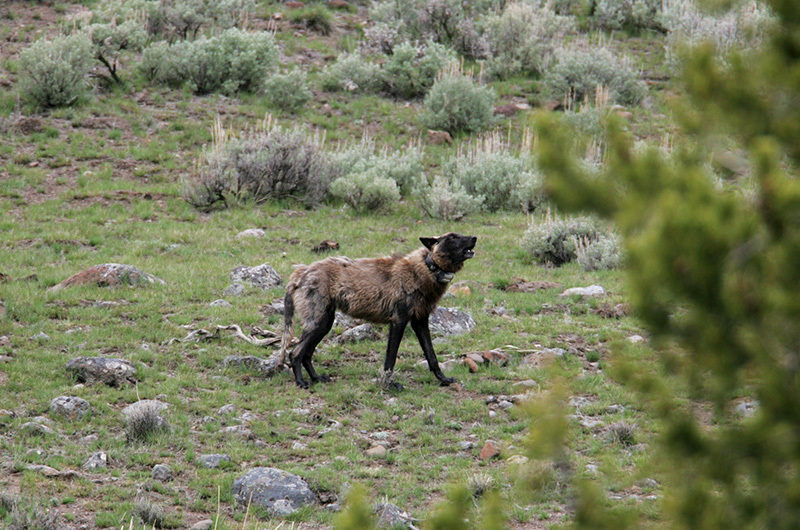 A member of the Golden pack in the Frank Church-River of No Return Wilderness. Earthjustice requested a court injunction to halt an unprecedented program by the U.S. Forest Service and Idaho Department of Fish & Game to exterminate the Golden Creek and Monumental Creek Packs deep within the Frank Church-River of No Return Wilderness. The area is the largest forested wilderness area in the lower-48 states. IDFG commenced the program in December 2013 without public notice. Members of the Monumental pack cross a ridge in the Frank Church-River of No Return Wilderness. Earthjustice filed an emergency motion asking the 9th Circuit Court of Appeals to preserve the wolves in the Frank Church Wilderness, after a federal district court judge rejected the injunction request. The hunter-trapper hired by the Idaho Department of Fish and Game has killed nine wolves from the Golden Creek and Monumental Creek Packs. Members of the Golden pack. Faced with the legal challenge and imminent hearing before the federal appeals court, the Idaho Department of Fish & Game abandoned its plan to resume the professional wolf-killing program in the Frank Church during the coming winter. A ruling from Federal District Court Judge Amy Jackson invalidated the statewide delisting of wolves in Wyoming, reinstating protections for the species. Earthjustice represented Defenders of Wildlife, Natural Resources Defense Council, the Sierra Club and the Center for Biological Diversity in challenging the FWS's decision to strip Endangered Species Act protections from gray wolves in Wyoming. 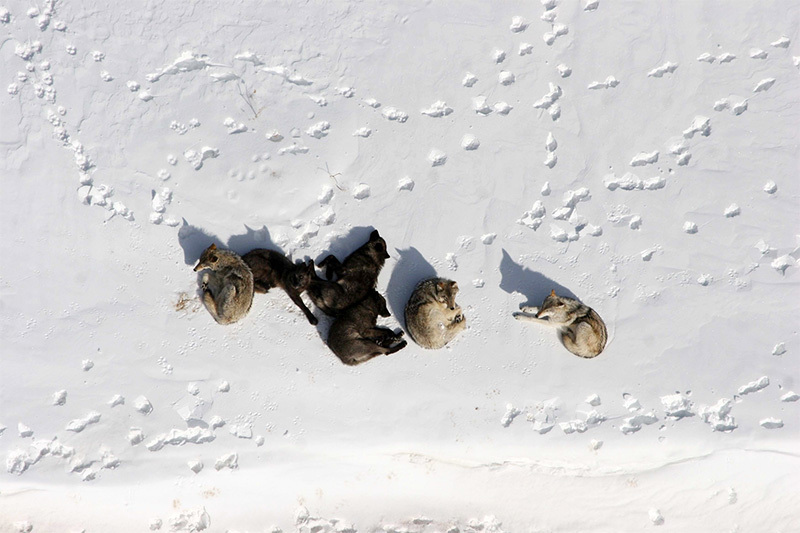 219 wolves were killed under Wyoming's management since the 2012 delisting. Wolves in Wyoming, Michigan, Minnesota and Wisconsin will retain their federal protections after a contentious policy “rider” that would have stripped them of Endangered Species Act protections was excluded from the final omnibus government spending bill. The rider would have overridden two federal court decisions (including the September 2014 victory for wolves in Wyoming) that found those states’ management plans do not sufficiently protect wolves, while also barring further judicial review of the court decision overrides. A coalition of conservationists, represented by Earthjustice, today filed a legal challenge to the decision by the U.S. Forest Service to allow the Idaho Department of Fish and Game to conduct approximately 120 helicopter landings in the Frank Church-River of No Return Wilderness as part of a program to manipulate wildlife populations in the wilderness. 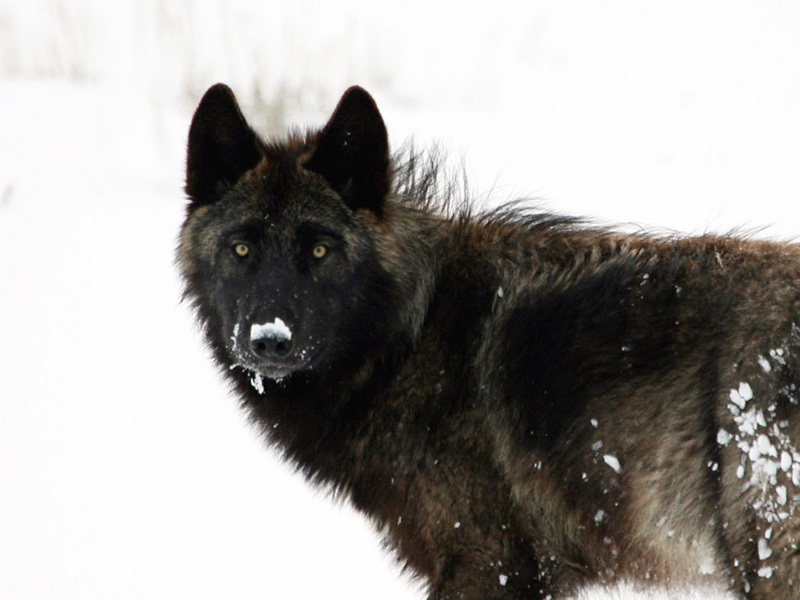 The Idaho Fish & Game Department admitted that it broke an agreement with the U.S. Forest Service and used helicopter landings to collar wolves in the Frank Church River Of No Return Wilderness. This followed less than a week after Earthjustice filed its legal challenge. The ruling by U.S. District Court Judge B. Lynn Winmill concluded that the Forest Service violated the Wilderness Act and conducted insufficient environmental review in allowing IDFG to land helicopters in the River of No Return in January 2016 to capture and place radio telemetry collars on wild elk. IDFG also captured and radio-collared four wolves during these operations—an unauthorized action that was not permitted by the Forest Service, but that threatened to advance IDFG’s plans to undertake widespread wolf-killing in the wilderness by providing locational information on the collared wolves. The U.S. Fish and Wildlife Service hands wolf management authority over to the State of Wyoming, despite state policies that promote unlimited wolf-killing across more than 80% of Wyoming and provide inadequate protections for wolves in the remainder. Looking for more? Read the latest news on the ongoing fight to save gray wolves. And don't miss the fight to defend the endangered Mexican gray wolf, the "lobo" of Southwestern lore. 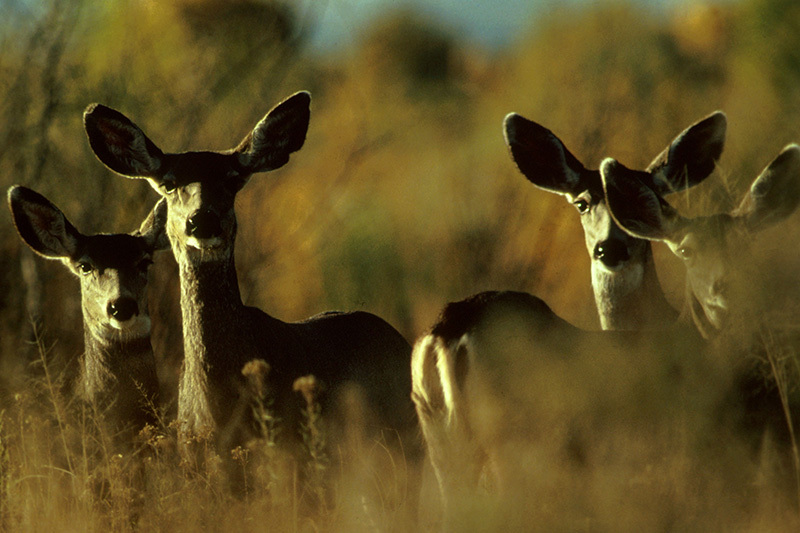 The iconic symbol of the wild American landscape needs your help! Members of Congress are working on legislation to remove Endangered Species Act protections for wolves across some—and possibly almost all—of the lower-48 states. But it is too soon to remove wolves from the federal endangered species list, as multiple courts have confirmed.